The relegation battle in the Spanish La Liga comes to a head. The two newcomers SD Huesca (23 points) and Rayo Vallecano (24 points) are already a little knocked off and will most likely after only 38 matchdays the gear back to La Liga2 must compete. The third relegated is still completely open. Eight rounds before the end six teams are separated only by six counters. There are also some strong teams like Europa League quarterfinalist Villarreal! This weekend, the yellow submarine hopes to count on the duel between Betis Sevilla and Villarreal! However, the Andalusians, themselves a team that shows very attractive football, need scorers themselves. Before the start of the 31st match day, Betis Sevilla is ranked ninth in the table and is four points behind Platz Sieben! The Europa League qualification is the big goal, but a good finish is needed for that. Despite a relatively weak form (a win in five games), Betis Sevilla is currently considered to be a relatively clear favorite against Villarreal according to current odds. For the home win in the Benito Villamarin Stadium between Betis Sevilla and Villarreal, the betting odds are in the range of 2.20! The game starts on Sunday evening at 20:45. Due to the extremely spectacular and entertaining game philosophy of coach Quique Setien, the Betis coach is preferred by many Barcelona fans as the successor to Ernesto Valverde. The Andalusians actually play a great combination football. However, the team must also accept the accusation of often dying in beauty. 40 points and ninth place by no means correspond to the possibilities and the achievements of the team. Especially in recent weeks, it set for the green-whites from Seville several setbacks. Only in relegation candidate Celta Vigo a 1-0 away win was acclaimed. Otherwise, it defeated against Getafe, Barcelona or last week in the English against Real Sociedad de San Sebastian. The English week is not an advantage for Betis Sevilla, not only because of the weak form, but also because of the thin squad. In addition, Quique Setien has on Sunday with the two outside players Junior Firpo and Francis Guerrero to give up two strong youngsters. Typically, Betis Sevilla acted in a 3-4-2-1 system. While 60 goals were scored in the previous year, the offensive in the 2018/19 season has far less impact force. Only 34 goals were scored in 30 games. With 39 goals conceded Betis Sevilla has a negative goal difference again this season (last year 60:61). No other team from the Top10 has received more goals than the Andalusians! Before home crowd had the Setien-Elf this season already lost five defeats in LaLiga. Despite a maximum mixed home record, a weak form and the two injury-related failures, a home win is expected by the bookmakers. This is certainly possible, but Value does not exist between Betis Sevilla and Villarreal when it comes to the hosts’ success! Repeats the destiny of the season 2011/12 for the yellow submarine? At that time, the team had to start completely surprisingly the gear in the second division. In the finish of the 2010/11 season, the final of the UEFA Champions League was just gossip missed, barely twelve months later, the club was at a crossroads. However, the return succeeded confidently and in the football upper house of Spain, the team established itself right off the bat. But this season, the team is far behind expectations and fighting for survival. After 30 matchdays, there are just as many points on the credit side – the advantage over Celta Vigo (currently 18th) is only one point. Nevertheless, a big difference between the two seasons can be seen. In the 2011/12 season Villarreal was like the rabbit in front of the queue and froze in awe. Football was not played, it was hoped to somehow achieve a lucky punch to hunker points. Anyone who saw Villarreal in the last few weeks saw no team that acted like a relegated. Rather, a team that plays football and acts with a lot of heart and passion. However, self-confidence is in the basement and small setbacks already have a big impact. The English week was by no means as desired for Villarreal. Against Celta Vigo it continued despite a 2-0 lead a 2: 3 defeat. 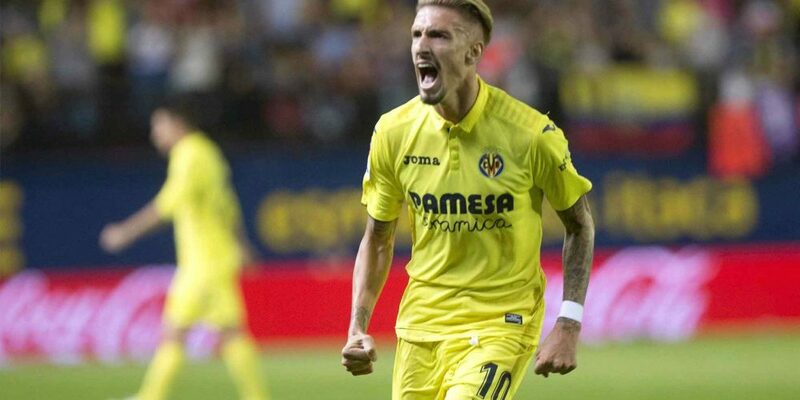 Villarreal lost 2-0 to league leaders Barcelona, ​​but then made a big lead to take the lead 4-2. Two last-minute goals once again caused a mental knockout. Playfully, the yellow submarine presented outstandingly. Toko Ekambi has finally found his marksmanship and Samuel Chukwueze is probably one of the strongest youngsters in the entire LaLiga. The situation is still precarious, but with these benefits a descent is unthinkable. If the Calleja-Elf in Andalusia can build on the performance of the last two games, a victory is by no means a surprise. Between Betis Sevilla and Villarreal a tip on the away win is highly recommended. Personnel must Javier Calleja on Alvaro Gonzalez and Pablo Fornals (both lock) and Jaume Costa, Miguelon, Manu Trigueros and Gerard Moreno (all injured) waive. The balance between the two teams in the Spanish football upper house is extremely balanced. On Sunday, the teams face each other for the 30th time. Currently, the yellow submarine from Villarreal has the nose narrow in the lead with eleven victories over ten defeats. This eleventh victory was Villarreal in the first season duel on the 13th matchday of the current season. In the home race of Estadio de la Ceramica, thanks to a double strike by Moreno / Chukwueze (52nd and 54th), the home side celebrated a narrow 2-1 win. This Villarreal has won four of the last five duels with the Andalusians. The table ninth receives the table 17.! These numbers are not necessarily based on a playful match, but both Betis Sevilla and Villarreal stand for a very well-kept football, with nice combinations and a strong vertical play in the depths. The Sunday night game of the Spanish La Liga is also a good occupation for the neutral fan. The bookmakers Betis Sevilla vs Villarreal is according to odds favor. ⭐️ Only one victory from the last five games – Betis threatens to miss the Europa League! ⭐️ Villarreal won four out of the last five direct duels! ⭐️ Villarreal only needed seconds to score a sensational victory against Barcelona! At first glance, this is quite obvious, after all, the Andalusians are in the table eleven points ahead of Villarreal and also have home rights. But the current form does not speak for the setien-elf. Villarreal scored only one point in the English week, but the performances were overwhelming over most of the 180 minutes of play. Qualitatively, guests do not have to hide from Betis Sevilla! Accordingly interesting is the outsider tip in this game! Betis Sevilla and Villarreal bet on a four-unit bet to predict the victory of the guests at odds of 3.30!